We all know essential footwear for every bride on her wedding; is a beautifully designed set of high heels that make her feel a million dollars. But as designers, designs become even more creatively amazing and lets admit it us ladies are addicted to skyscraper heels and desire their beautiful creations. We hear you asking yourself the question; “how can I get thorough my wedding day wearing these pretties?”. 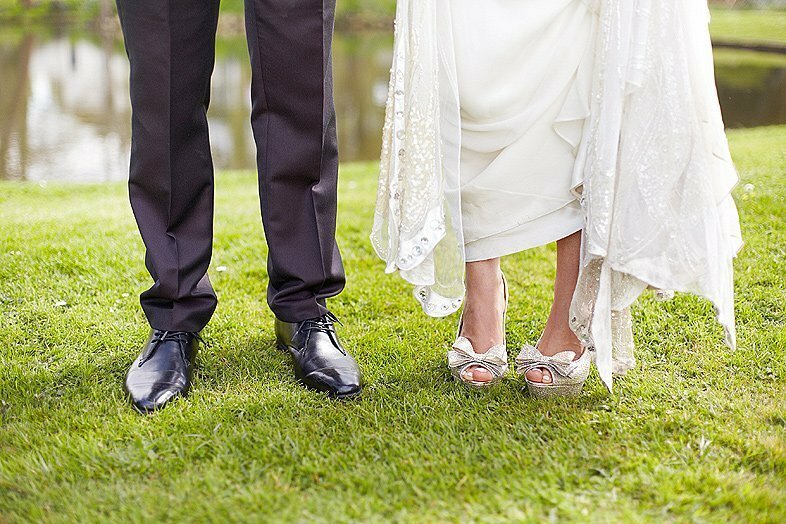 Keeping your feet in peek condition so your still able to dance the night away is high on any brides agenda and even the most accomplished heel wearers can be unsteadied by the thought of wearing heels for up to 12 hours. As always Love Scarlett is on hand to share our hints and tips to guide you, so you can wear those little darlings cleverly and drift though your day without fear. Don’t give in to temptation, if you see the most beautiful pair of shoes and they are the last pair on sale and they are just half a size too small. Do not buy them and whilst your squeezing your feet in to these shoes saying under your breath “there stretch”.We promise you they will stretch only a little and will be uncomfortable on the day, you will thank us for this…. We also had a little look around for you, and outline some of the must have products for your wedding shoes on the day. You can also see our “top five” designer shoe choices from the above designers on our Facebook page today. So now you are armed with this must have guide, remember show no fear, walk tall, feel confident and enjoy your day and you and your shoes will look utterly fabulous.